Class RP would like to thank Mrs Passmore for all her hard work over the last seven months, we would like to wish her all the best in her new school. She promised to keep in touch to hear how the children getting on. 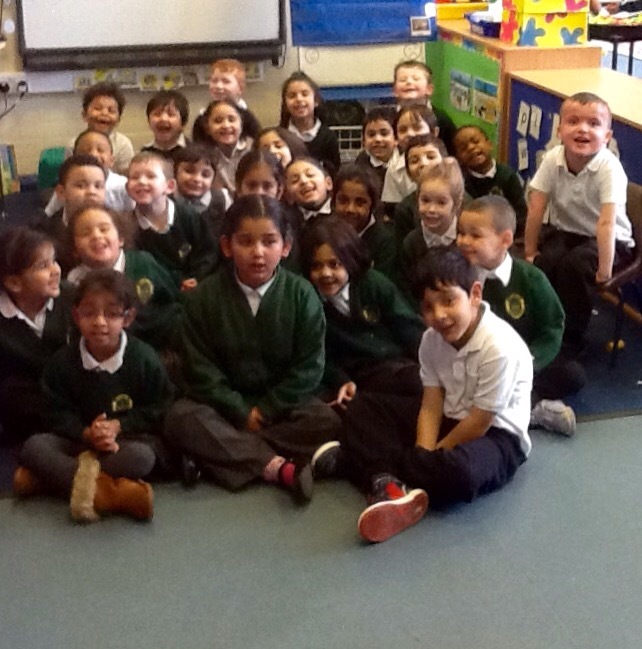 We will miss you love Mrs Matharu and class RP. 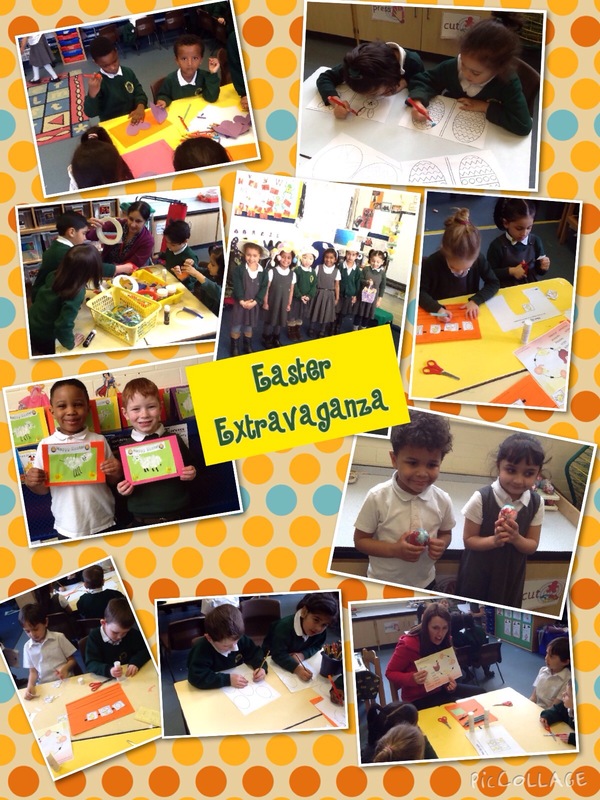 We had a lovely time making Easter cards and mobiles. We looked at the life cycle of a hen and talked about how different people celebrate Easter. We have been learning about St Patrick’s day and have lots of fun listening to stories and making hats and flags! We also had a go at Irish dancing in P.E. 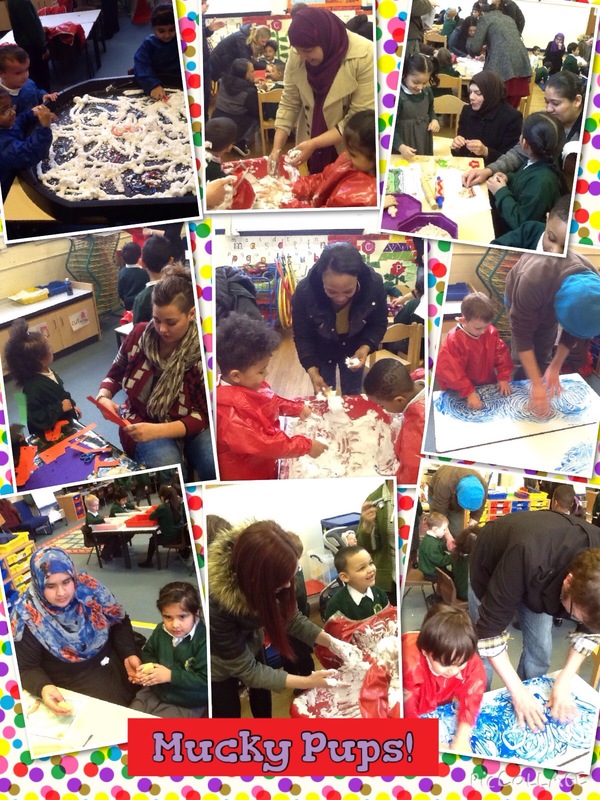 Thank you to everyone who came to our ‘Mucky Pups’ workshop, the children and especially the adults had great fun and enjoyed getting creative and messy!!! 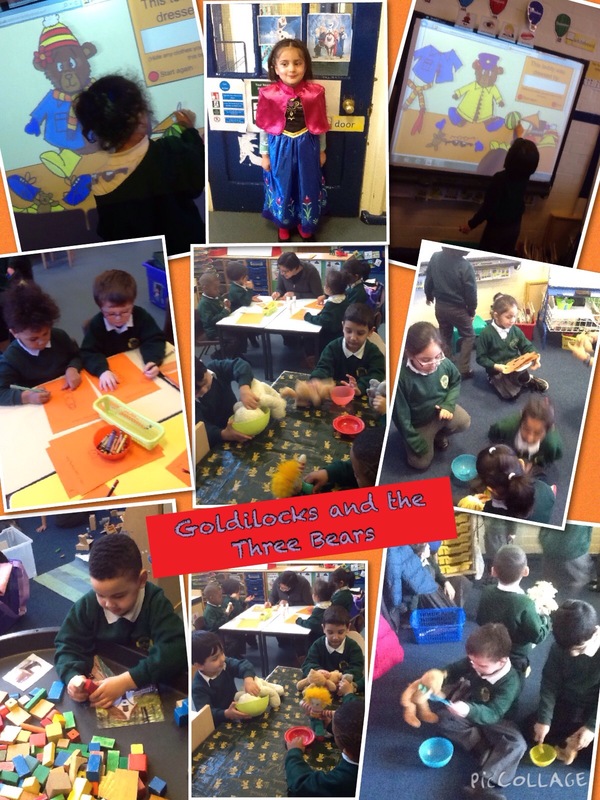 This week we have been listening and re-telling the story of Goldilocks, the children have had lots of fun and have really enjoyed acting out the story!